Discussion in 'Birds' started by DanielD, Mar 24, 2007. Found these today among the usual ducks and was amazed by the color of their eyes. Immediately felt being watched. Did it turns its head in a circle??? Thanks. No, but maybe they were not in the mood.. is was very windy and all those ducks looked as if they felt a bit uncomfortable in the rough water. Nice pictures Daniel, but the second one is a little scarry....the eyes remind me of my ex-wife! Found it in wikipedia. 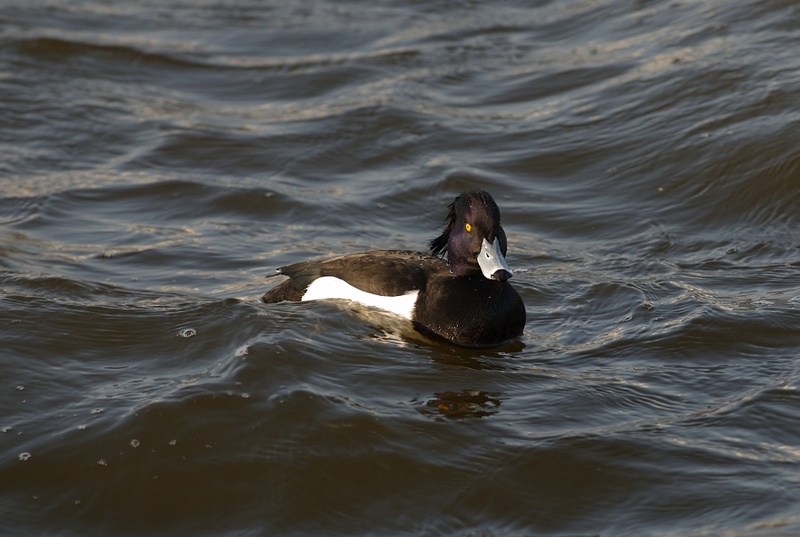 Looks like a Tufted Duck or Reiherente (in German). Awsome shots! I've posted some similar! Those eyes are definitely noticeable! Keep em comin! Nice shots: I love tufties. Think I found one of those yesterday. 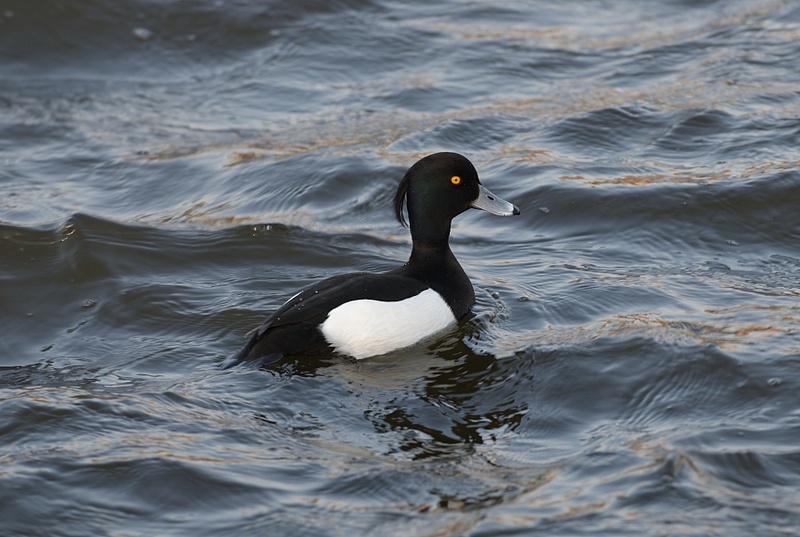 This is a Tufted Duck (Aythya fuligula), the first image excellently shows a male in winter flumage with the long wispy tuft on his nape. These are present all year long in the UK and I enjoy watching them at local reservoirs/pools particularly when they dive in search for food.